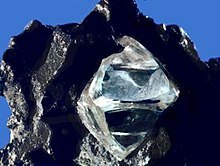 Sapphire is a precious gemstone, a variety of the mineral corundum, consisting of aluminium oxide (α-Al2O3) with trace amounts of elements such as iron, titanium, chromium, copper, or magnesium. 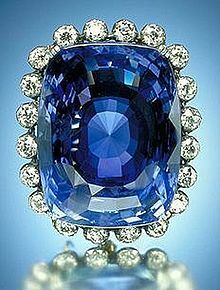 It is typically blue, but natural "fancy" sapphires also occur in yellow, purple, orange, and green colors; "parti sapphires" show two or more colors. 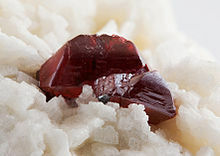 The only color corundum stone that the term sapphire is not used for is red, which is called a ruby. 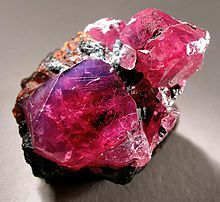 Pink colored corundum may be either classified as ruby or sapphire depending on locale. 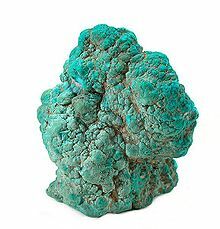 Chalcopyrite ( /ˌkælkəˈpaɪraɪt, -koʊ-/ KAL-ko-PY-ryt) is a copper iron sulfide mineral that crystallizes in the tetragonal system. It has the chemical formula CuFeS2. 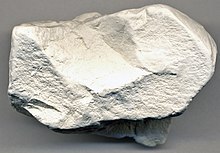 It has a brassy to golden yellow color and a hardness of 3.5 to 4 on the Mohs scale. Its streak is diagnostic as green tinged black. 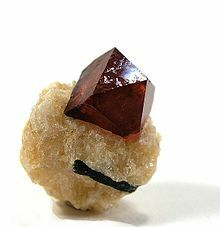 Cinnabar (/ˈsɪnəbɑːr/) and cinnabarite (/sɪnəˈbɑːraɪt/), likely deriving from the Ancient Greek: κιννάβαρι (kinnabari), refer to the common bright scarlet to brick-red form of mercury(II) sulfide (HgS) that is the most common source ore for refining elemental mercury, and is the historic source for the brilliant red or scarlet pigment termed vermilion and associated red mercury pigments. Franz Ambrosius Reuss (3 October 1761, Prague – 9 September 1830, Bilin) was a Czech geologist, mineralogist and balneologist. He was the father of geologist August Emanuel von Reuss. 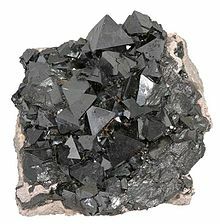 Leonid Alekseyevich Kulik (Russian: Леонид Алексеевич Кулик; 19 August 1883 – 14 April 1942) was a Russian mineralogist who is noted for his research into meteorites. 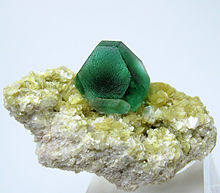 Rudolf Koechlin (11 November 1862 – 11 February 1939) was an Austrian mineralogist. Oskar Lenz (April 13, 1848 – March 1, 1925) was a German-Austrian geologist and mineralogist born in Leipzig. 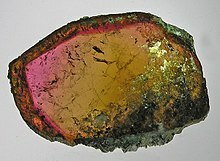 Konrad Oebbeke (2 November 1853, Hildesheim – 1 February 1932) was a German geologist and mineralogist. He studied at the Universities of Heidelberg and Erlangen, obtaining his doctorate at the University of Würzburg in 1877. 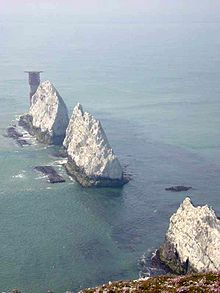 Afterwards he worked as an assistant to the Geological Survey of Bavaria. He served as privat-docent at the University of Munich, later becoming a professor of mineralogy and geology at Erlangen (1887). 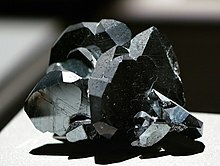 Christian Ernst Weiss (12 May 1833, Eilenburg – 4 July 1890, Schkeuditz) was a German mineralogist, geologist and palaeontologist. Sonnet dedicated to Cardinal Richelieu written by Martine Bertereau in her book The Return of Pluto, 1640. 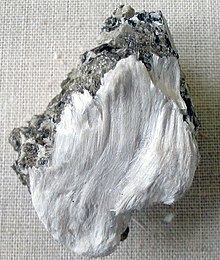 Do you have a question about Minerals that you can't find the answer to? 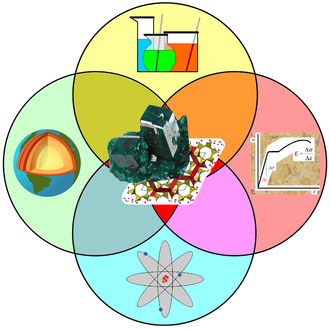 For editor resources and to collaborate with other editors on improving Wikipedia's Minerals-related articles, see WikiProject Rocks and minerals.